Life is filled with What Ifs, and so is the world of theater. What if you suddenly lose the rights to the play you’re doing? What if you do a musical revue instead? 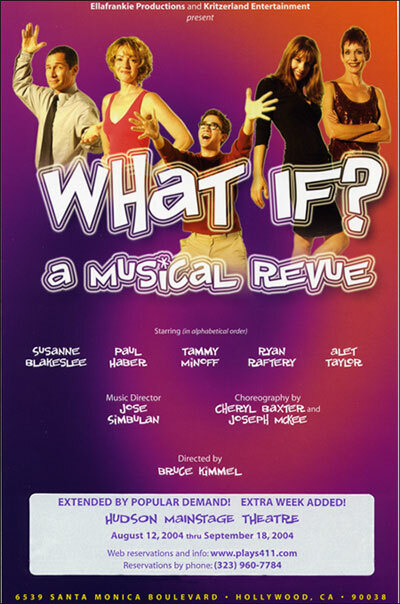 What if the musical revue is filled with What Ifs? 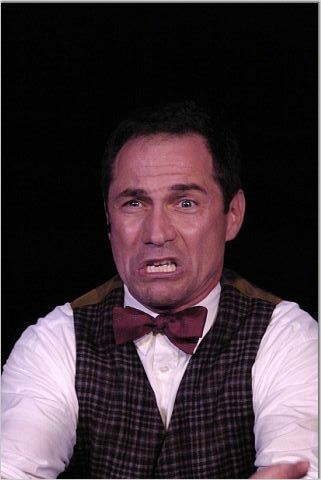 Like What if Stephen Sondheim wrote Bye ,Bye Birdie, and What if Rodgers and Hammerstein had written Assassins and What if Frank Loesser had written The King and I? What if there were songs and sketches by some of the most talented people writing for cabaret and musical theater? The answers to the What Ifs are simple to find: Book What If? A Musical Revue for your venue today. For booking information and a perusal DVD, contact Benita Scheckel at bscheckel@maestro.ws. The show premiered in Los Angeles to rave reviews and mass audience appeal. (Read the reviews) Whether Broadway Musical fans or not, audiences will split a gut with this hysterical new show by screenwriter and actor Bruce Kimmel. and Mr. Karp in "Something"
Click here to read the lyrics to the songs. For booking information please contact Benita Scheckel at benita@maestro.ws. Thank you for choosing Maestro.